Hall of the Mountain King: Review: Kiuas, "Lustdriven"
Things start a little shaky on “Kiuassault,” which as the name suggests is more of a chest-thumping salute to their manliness than a well-thought out song, but after that bit of indulgence things settle down. More than anything, Lustdriven provides a showcase for the guitar work of Mikko Salovaara. 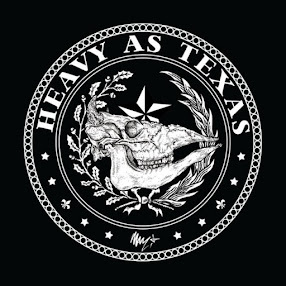 Nowhere is it more felt than on “Heart and Will,” which opens in a thrash mode and has Salovaara shredding all over the place. He turns in some impressive work on the track, which is one of my favorite on the record. He shows a softer side of his work with the crystal clear guitar opening of “Lights Are Many,” which is a bit disappointing overall as it’s a little more conventional than the band’s past ballads. “Summer’s End” gives him a chance to show off his acoustic skills, which are just as solid as the blazing leads. Ilja Jalkanen offers an interesting vocal delivery on the track that’s somewhere between chanting and singing. The best moment for Salovaara, in my mind, comes on the final track, “Winter’s Sting.” Brief acoustic moments tie it in with “Summer’s End” at the beginning, though it’s a much heavier song. But the highlight of the album for me are the interludes in the tune that offer a great blend of groove and acoustic folk guitar. I really wish they would have used that a little more on the track, as it’s outstanding. Jalkanen, who has always grabbed me with his vocals, opts for a more straight-forward approach on many of the songs here. I would have liked to hear more of the growls that he used on New Dark Age, but he does mix it up a little. There’s the aforementioned “Summer’s End,” and the mechanical delivery on the verse of thrasher “Aftermath” that reminds me a little bit of Fear Factory. Keyboard player Atte Tanskanen gets his moments as well. There’s some nice atmospheric piano work on “Of Love and Human Nature” that I really enjoy. “The Visionary” brings a heavy symphonic element blended with a guitar-driven march, and “The Quickening” opens with a dark piano and some soaring guitar work from Salovaara before taking on a bit of an old school hard rock feel. 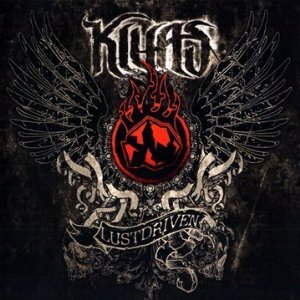 As usual with Kiuas, the musicianship on Lustdriven is outstanding, and the record sounds great. Ultimately, Lustdriven doesn’t match the intensity of New Dark Age or the power of Spirit of Ukko and isn’t quite as memorable as either of those. That said, it’s still a solid addition to the Kiuas catalog.